The huge, flat slab of frozen lava hanging over Albuquerque, known as the West Mesa—or simply the Mesa—plays a huge role in the final climax of The Zozobra Incident. 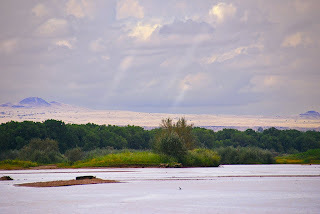 The Mesa spans a huge area from the Escarpment lying west of the Rio Grande some twenty miles west to the Rio Puerco and stretches from south of Albuquerque north to Bernalillo. For the most part, it is open space, that is, there is little development on it. When I first came to Albuquerque, which was either in 1961 or 1963 (depending upon whether you believe me or my late wife), an eastern land development company had bought (or acquired rights to buy) a large portion of the Mesa lying close to Albuquerque. They bladed a network of unimproved roads and flew in planeloads of people from New York and New Jersey (and other points east) to show the proposed development and explain the tremendous financial advantage of acquiring a lot or two…or three…to retire on at some point in the future. Bad advice. So far as I can tell, there is no…or little development on the mesa south of Paradise Hills. Geologists and geoarchaelogists speak of chert and obsidian and basalt and sand sheets, but to BJ Vinson (the protagonist of Zozobra) the West Mesa is just a big slab of lava that flowed from five volcanoes termed the Five Sisters until they got tired of acting up and simply stopped erupting, leaving an escarpment of black lava looming over the floor below. The remnants of the Sisters can be seen today. When I came here in 1961 (or was it ’63? 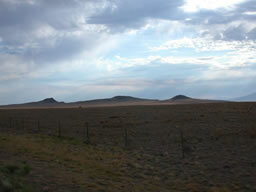 ), they were more recognizable as volcanic cones, but over the years they have eroded badly. Until fairly recently, volcanic activity was thought to have taken place around 10,000 years ago, which is merely last night in geologic terms. Of late, volcanologists figure the eruptions took place more like 100,000 years ago (or last month, geologically speaking), and some experts place the activity as far back as 200,000 years. Whatever the date, old timers around here will tell you that snow melts more rapidly on the Mesa than it does in the valley because of the residual heat from the Sisters. That appears to be the case to BJ, but then, he’s no volcanologist. The Mesa serves several functions for Albuquerqueans. Unfortunately, one of them is as a dumping ground…for refuse of all types. A visitor on the Mesa might drive up on trashed washers and broken furniture. Or he might discover up a human body. News reports over the years tell of numerous corpses in varying states of decay showing up. Most…if not all…were victims of foul play. The most gruesome find was uncovered when a local resident walking her dog on February 2, 2009 found a human bone. The subsequent investigation exhumed the remains of eleven women and an unborn fetus buried in the same area. The ages of the women ranged from fifteen to thirty-two, and most were believed to be prostitutes. To the best of my knowledge, the murders have never been solved. So BJ’s former APD partner, Detective Gene Enriquez had good reason to believe the Haitian thug, Jackie Costas, would turn up on the Mesa if, in fact, he was dead. The Mesa is also a place for more pleasant activities. Some 7,244 acres were set aside in 1990 as the Petroglyph National Monument, a partnership between the National Park Service and the City of Albuquerque Open Space Division to protect thousands of Puebloan and Spanish rock glyphs strung out over places with exotic names such as Rinconada Canyon, Piedras Marcadas, Boca Negra, and the like. Most of the petroglyphs were made by striking or scratching boulders on the walls of the escarpment or on boulders that had broken off and fallen free. Some of the designs are clearly religious, others depict humans or animals. 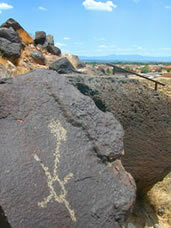 A single petroglyph can mean different things to different Pueblo cultures. 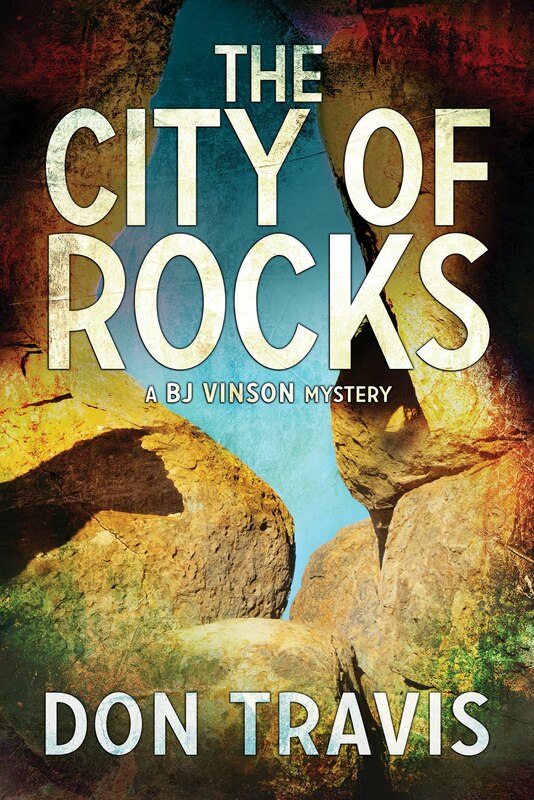 When Charlie Weeks, an ex-policeman who works with BJ, drove Paul’s old Plymouth to the top of the escarpment to rendezvous with the bad guys, he drove right past Rinconada, which is said to contain over 1,000 petroglyphs. 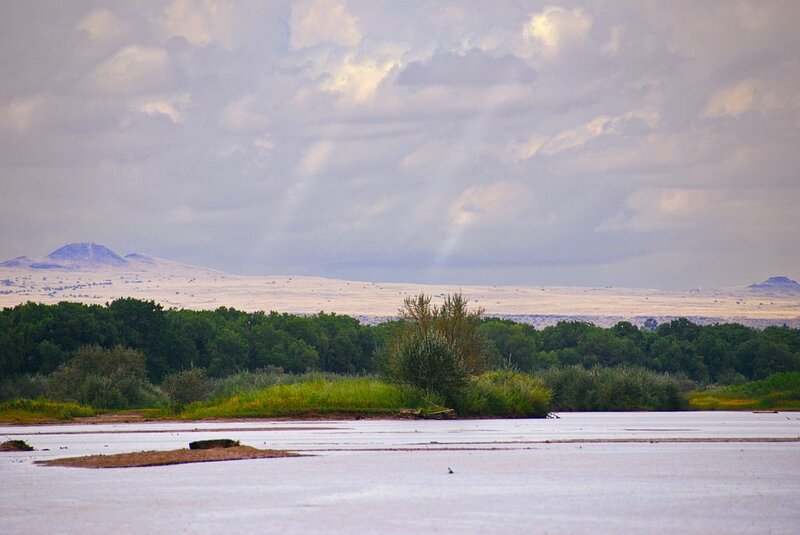 The Albuquerque Basin in the central Rio Grande Valley has a long history of human activity. There are 36 recorded Paleoindian sites on the Mesa and a total of 59 such locales throughout the basin. Many are short-term camps and processing areas likely set up after successful bison kills around shallow playa basins, some of which likely held water at the time. Stone artifacts suggest the Folsom people processed animals they had killed and mended weapons before moving on. 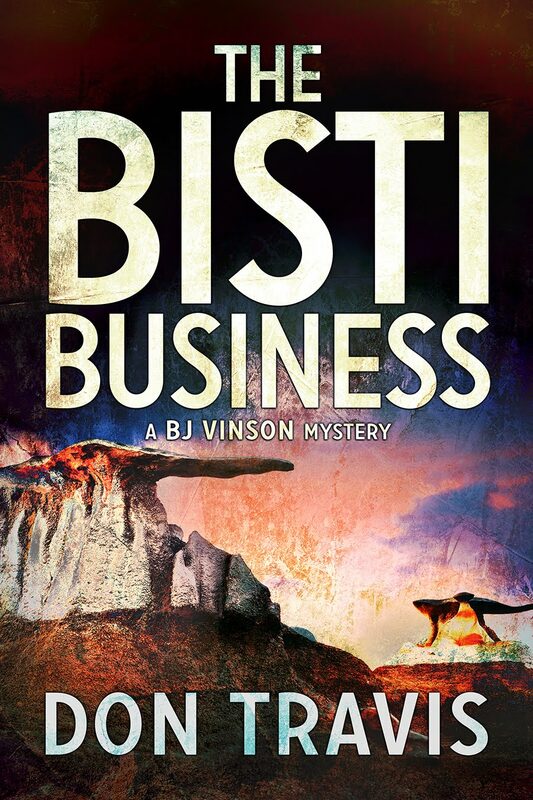 Like many young people, BJ spent time on the Mesa, and being history-driven, often felt the presence of these long-vanished people. He enjoyed parking at the edge of the escarpment and looking out across the broad valley to Albuquerque and the Sandia-Manzano range beyond. Sometimes he was alone. Other times, he was with a friend or friends guzzling illegal cans of beer and discussing things important to teenagers: who was going with whom, and the lame effort of the football team in last Friday’s game. They enjoyed the vivid sunsets to the west and watching the light fade from the sky and lights pop on in the valley to the east. When darkness had fallen, the vast carpet of colorful lights in the valley made Albuquerque look far larger than it actually was. His experience has been shared by countless people over the years. With its magnificent vista and its aura of timelessness, history, and danger, it is a magnet to youngsters of all ages. Even I have spent a few hours there, giving my imagination free rein. 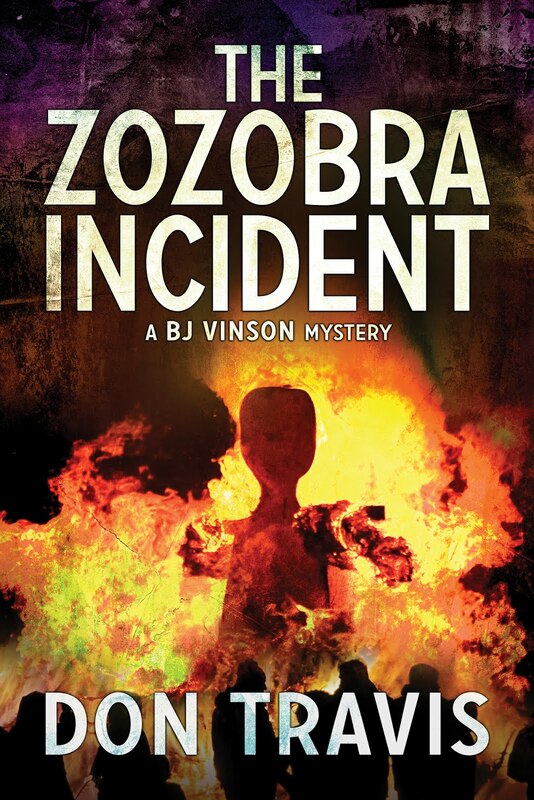 Could the dramatic ending of The Zozobra Incident have had its genesis there those many years ago?